The House Cafe is open for business once again as patrons attend open mic night on Monday, October 17, 2016 in DeKalb. 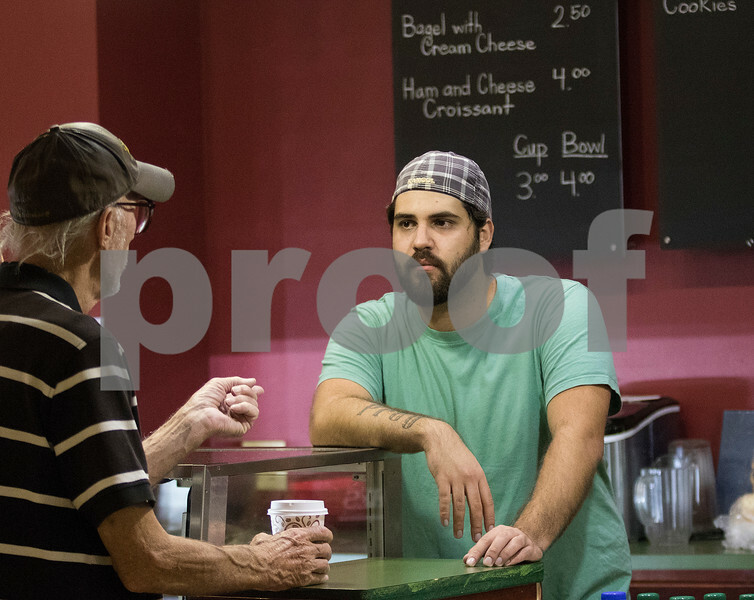 Barista Alex Boccanelli of DeKalb, 22, right, talks with long-time patron John Pell, both of DeKalb, before the start of open mic night at The House Cafe on Monday, Oct. 17, 2016 in DeKalb. "Monday night's open mic. That's like religion here for years and years and years," Pell added.